FANCY A BIGGER ONE? THIS IS IT! LARGER DISH FACE THAN REGULAR SNIPE! MORE ROBUST DESIGN! GREAT FOR MOTORING IN BOTH UK & NORTHERN EUROPE! 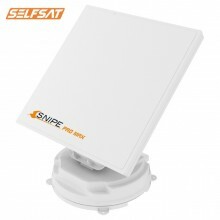 Selfsat Snipe PRO MAX TWIN is the ultimate model in the Snipe range. The Snipe Pro Max is a fully automatic satellite antenna system ideal for use whilst away in your Motorhome, Horsebox or Boat. The Snipe Pro Max Twin is a robust whilst discreet fully auto locking Satellite TV dish system. Specifically designed for outdoor use to give you the best possible performance. It has a larger reception face than other Snipe models equivalent to a 75cm regular parabolic dish (EIRE = 48 dBw). The Snipe Pro Max Twin has a new stronger, reinforced design and also allows the programming of two additional satellites. The Snipe Pro Max Twin has a state-of-the-art element design and operates with three axes of movement. The built in GPS is able to detect your location and auto skew the element to give you the best possible gain for your position. The easy to use remote control allows you to see all the satellite parameters, with ten major satellites already pre-programmed and the facility to program two more. Sit back and enjoy the TV you love at home even faster and in more locations when away on holiday in your motorhome, horsebox or truck. 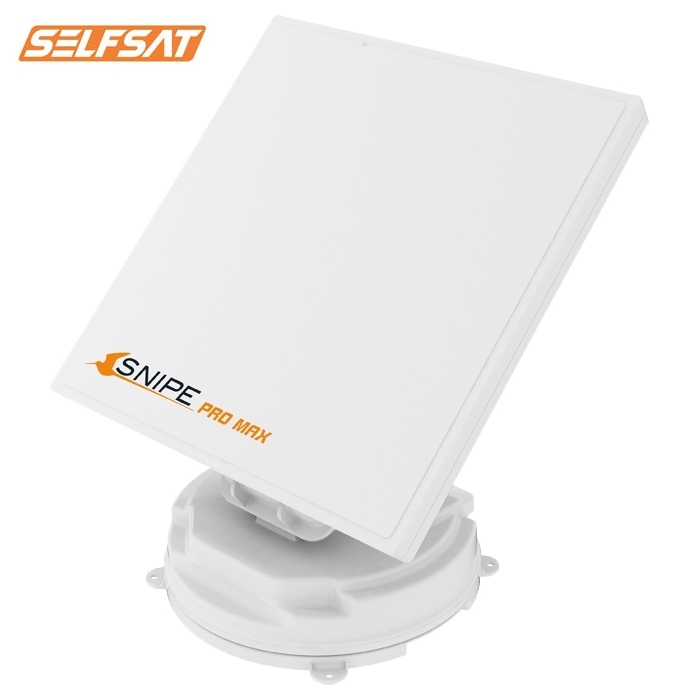 Click the button below to add the Selfsat Snipe Pro Max Twin Fully Automatic Flat Satellite Antenna to your wish list.